PAN card stands for Permanent Account Number.PAN card is required for any kind of financial transactions in India. 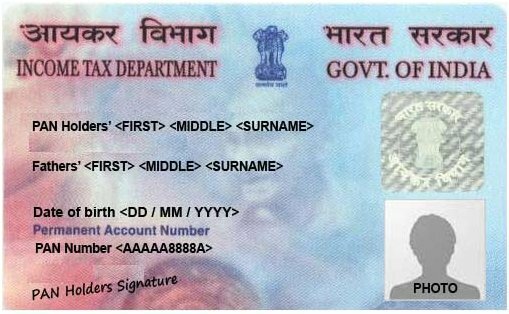 PAN card includes 10-digit unique alphanumeric number(called as PAN Number),Complete Name, DOB, Father's name,photograph and the signature of the individual. 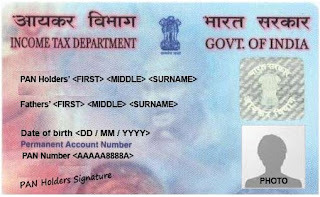 PAN card is issued by Government of India(Income Tax Department). PAN card basically used for banking transactions and Income Tax purposes. It can be used for identity proof.PAN card is mandatory while filing ITR. PAN Number is 10 -digit alphanumeric number that has first 5 characters are letter, next 4 are number and last character is letter. Nice Post. PAN card number is 10 digit alphanumeric numbers which is issued by the Indian Income Tax under 1961 Act. If you don't have PAN card with you and you are looking to Know Your PAN by your Surname, Name and DOB (Date of Birth), then you are at right place. Visit this site.